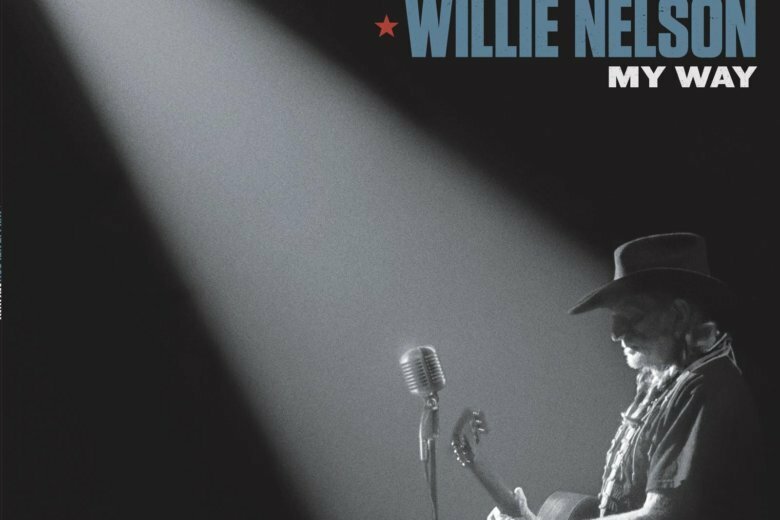 Willie Nelson is country music personified, but he’s no red-headed stranger to the Great American Songbook, either. On “My Way,” the prolific Texan swings and croons through 11 songs associated with Frank Sinatra, with whom he formed an unlikely and undeniable mutual admiration society. Nelson has been releasing albums at a pace rarely seen these days among major stars, much less 85-year-olds who’ve been on the road forever. “My Way,” second of the year after the reflective “Last Man Standing,” is a joy from start to finish. With “Stardust,” his smash 1978 LP, Nelson became an early adherent to the now-ubiquitous crossover interpretation of pop standards and though he’s recorded some of these songs before — including opener “Fly Me to the Moon” and one of Sinatra’s greatest performances, “One for My Baby (And One More for the Road)” — the right-sized string and horn arrangements led here by Matt Rollings accommodate both Ol’ Blue Eyes’ world and Nelson’s own idiosyncratic interpretations. “Fly Me to the Moon” gains a slightly more spirited pace than on Nelson’s 2009 “American Classic,” while “Summer Wind” includes a lyrical Nelson solo on Trigger, that nylon-string Martin guitar of his with an extra hole resulting from years of use. The backing really shines on “One for My Baby” and Nelson’s vocal shows how he is indeed a “kind of poet” even when the song is not his own composition. Nelson’s experience lends a special grace to “It Was a Very Good Year” and “Young at Heart,” while on “My Way” his phrasing and Mickey Raphael’s harmonica (a treat elsewhere, too) provide the album closer with a bluesy intimacy that may make some of those who don’t care much for Sinatra’s braggadocio and bombast on his own version give the song another chance. Later this month, Nelson will be headlining Farm Aid again and he hardly seems to have a day off. To paraphrase a popular Keith Richards meme, it’s time to start worrying about what kind of world we’re leaving for Willie Nelson.